Hello all! 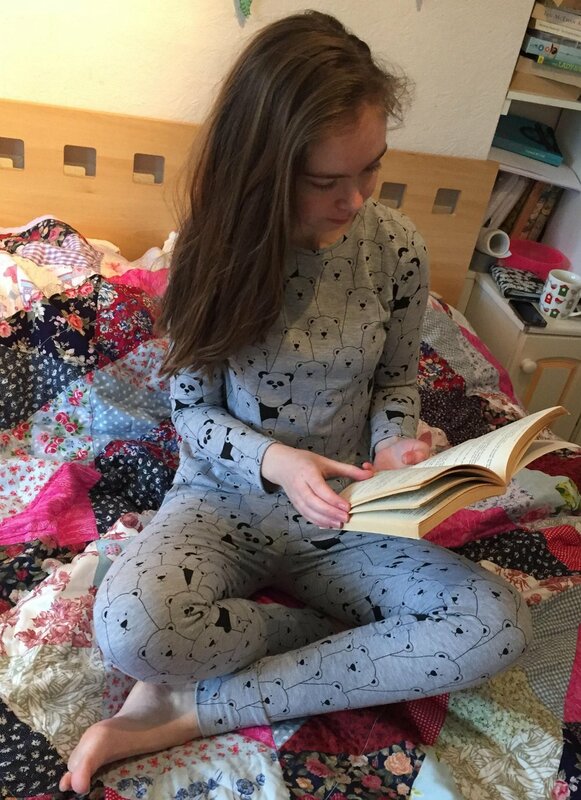 I'm going on tour and I wanted some fun pajamas to wear on the tour bus, which is where this panda jersey from Minerva Crafts came into play. They were very quick to sew up and I used two well loved patterns from my stash: the Grainline Lark tee and the True Bias Hudson pants. You can read all about the making process over at the Minerva blog here. Thanks for reading and to Minerva Crafts for providing the materials for this project!